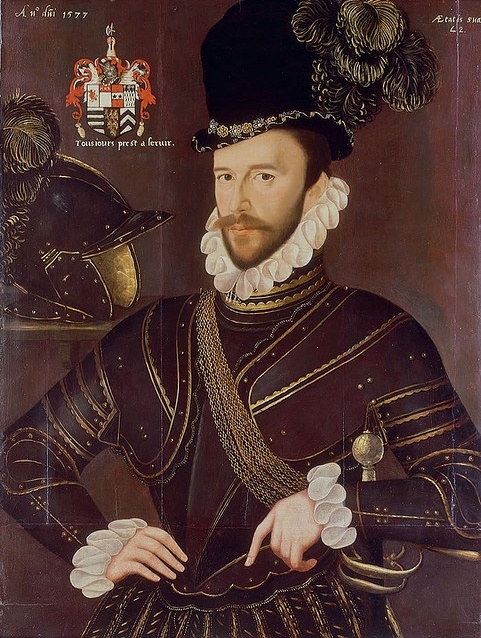 In 1577, Sir Richard Drake was painted with the velvety black helmet that this is based on. 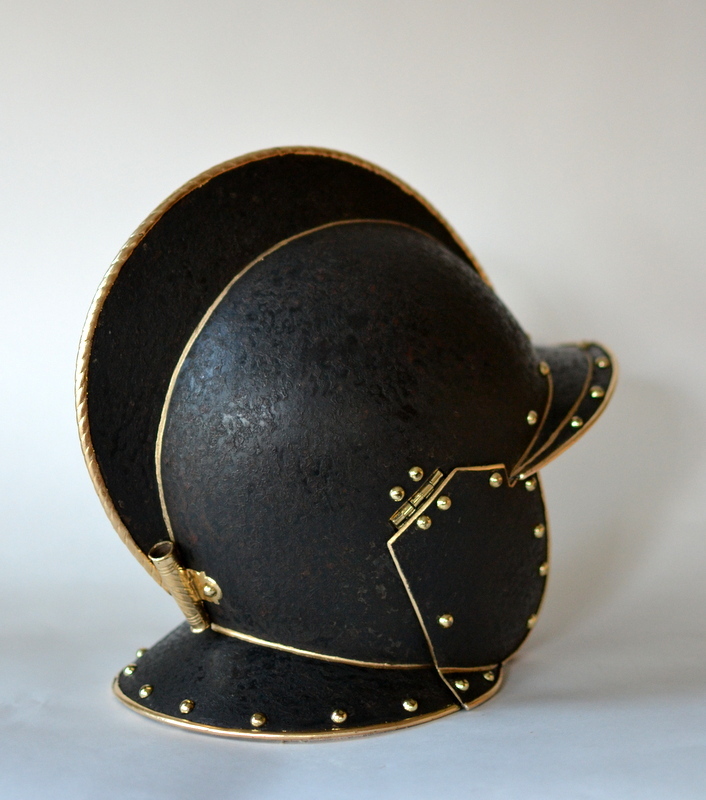 Surface treatments to create colour and texture contrasts were commonplace in the high-end armour produced in the Greenwich workshop during the reign of Elizabeth I, and this is just one of several. 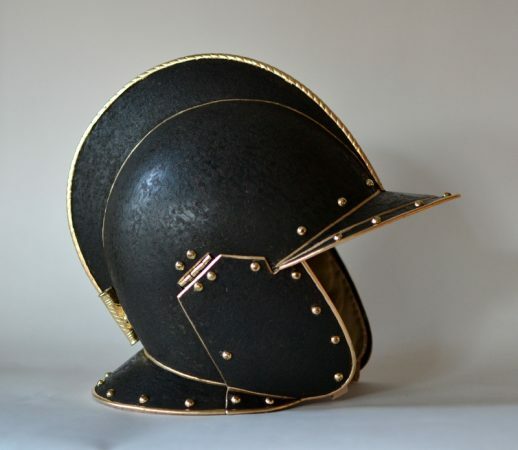 The surface on this helmet was blackened using a russeting technique, and its borders were gilded. 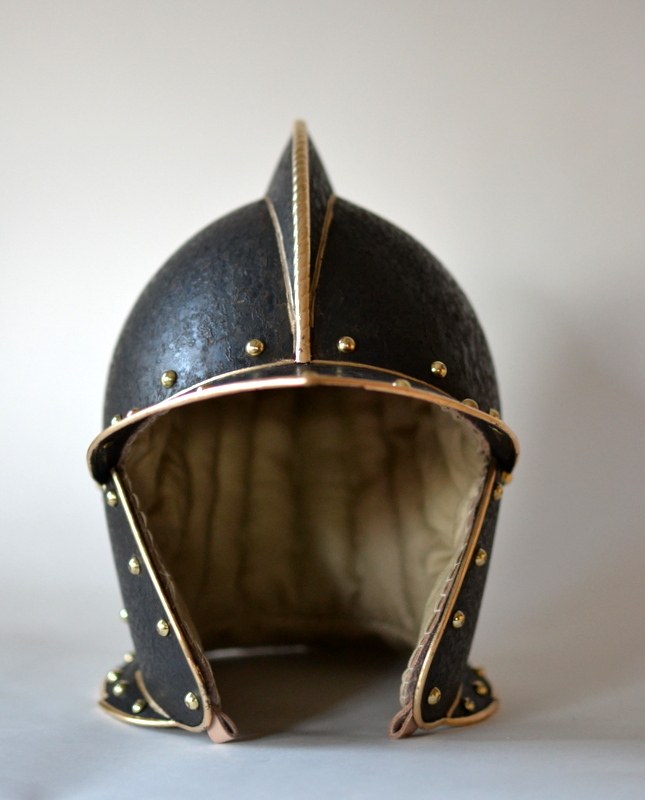 Its linen liner is hand-stitched. 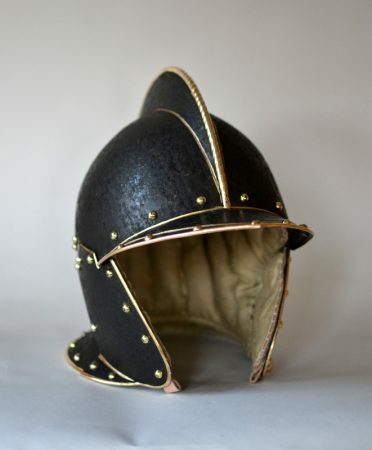 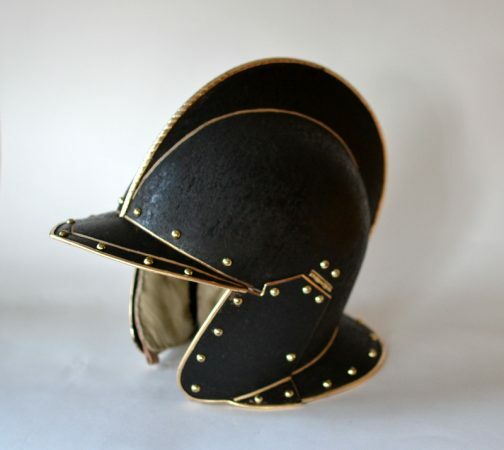 We would be pleased to discuss other decorative options and styles of burgonets or Greenwich armour. Feel free to contact us.